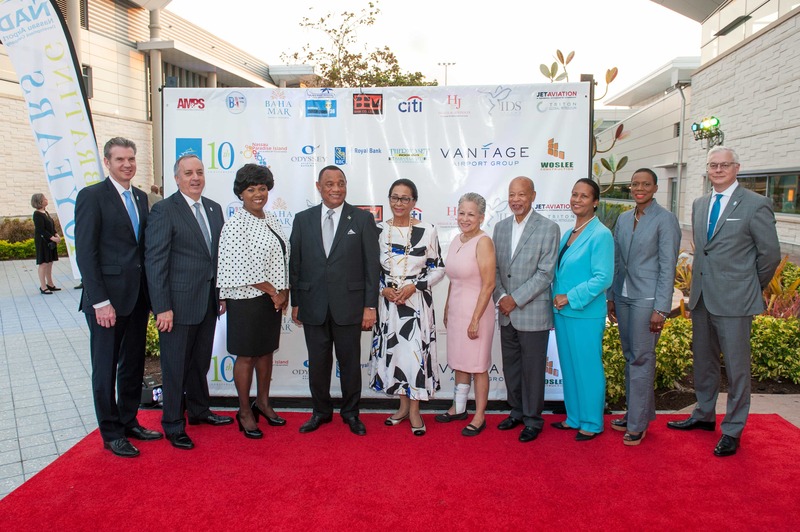 On April 1, 2017, we celebrated our official 10th anniversary of operating LPIA under a partnership with Vantage Airport Group and the Government of The Bahamas with an event held in our airport gardens. 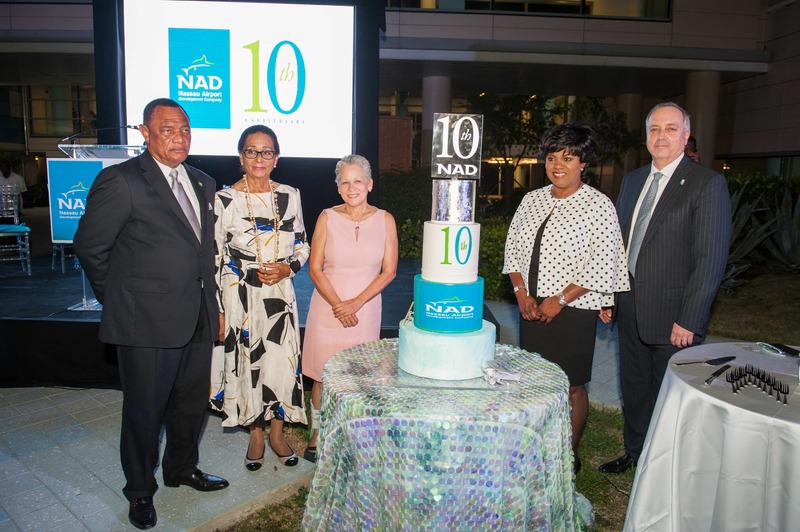 NAD and Vantage leaders were joined by Governor General Dame Marguerite Pindling; Prime Minister Rt. Hon. Perry Christie; and Hon. 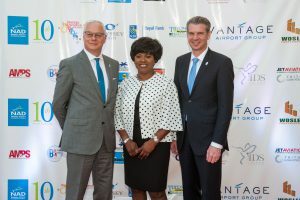 Glenys Hanna Martin, Minister of Transport and Aviation. 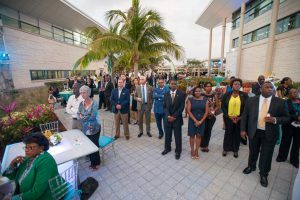 More than 150 guests enjoyed a rake n’ scrape performance by Gerald Cash Primary School, and a four-tiered cake helped complete the celebration with our dignitaries serving the first slice. Looking ahead, NAD will continue to drive success at LPIA, connecting the people and businesses of The Bahamas to the world with first-rate operations and a world-class airport experience. Read the full news release here, and watch a video highlighting the transformation of our terminals. 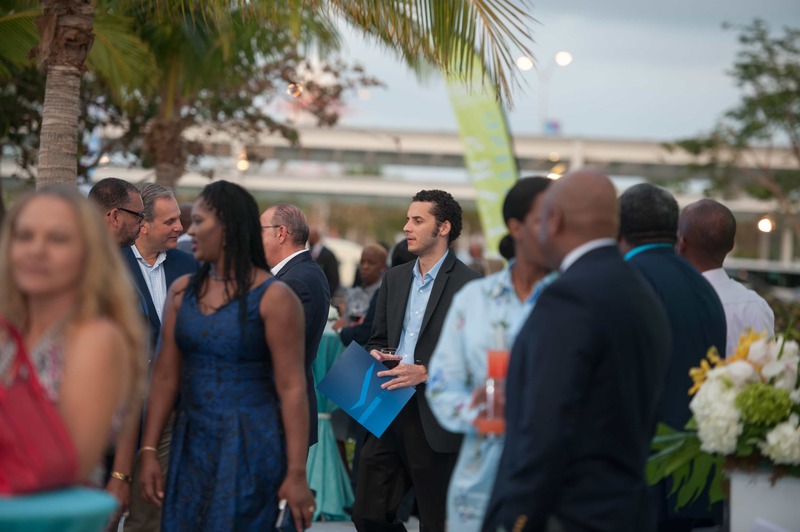 Dignitaries gather to celebrate ten years of airport operating excellence. 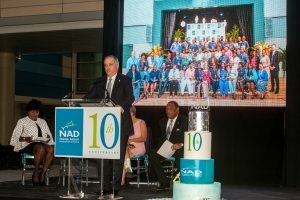 Vantage Chair & CEO George Casey acknowledges the dedication of NAD employees. Prime Minister Rt. Hon. 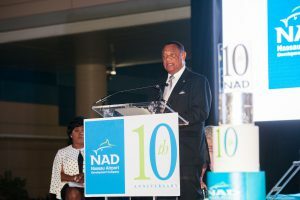 Perry Christie addresses the crowd. 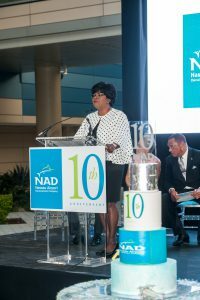 NAD President & CEO Vernice Walkine offers remarks. 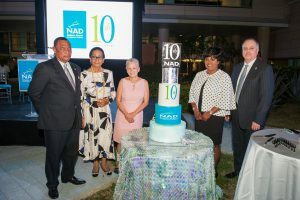 A spectacular four-tiered cake rounded out the celebration. 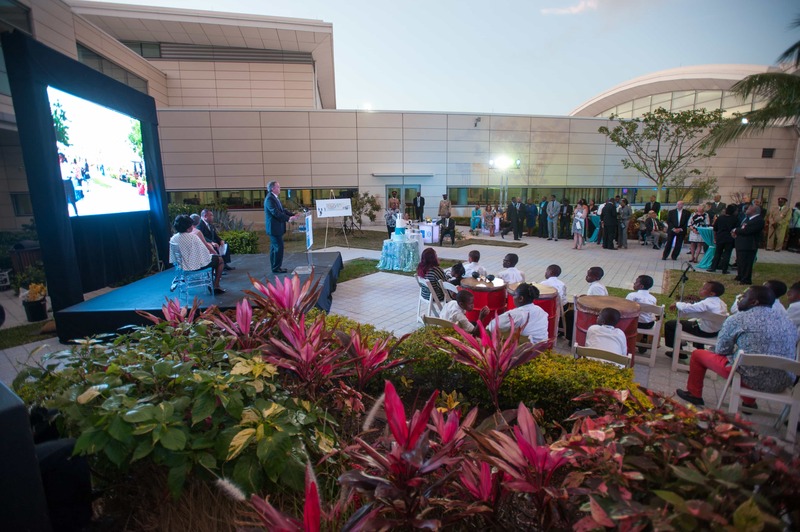 Guests gathered in The Gardens at LPIA, a beautiful outdoor gathering place. 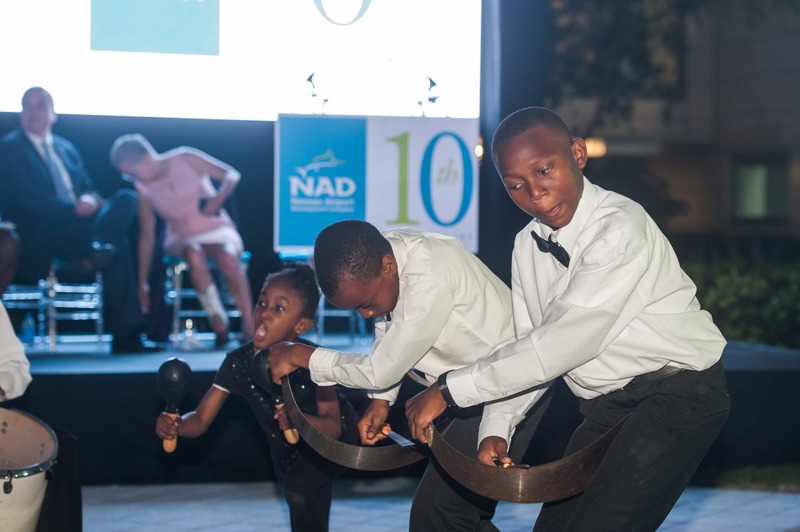 Students from Gerald Cash Primary School performed a dynamic rake ‘n scrape for the assembled guests. Vantage unveiled a rendering of its gift of a custom art piece to be displayed at LPIA. 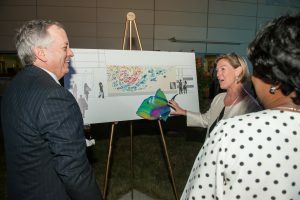 The work will consist of hundreds of fish painted in vibrant Bahamian hues. 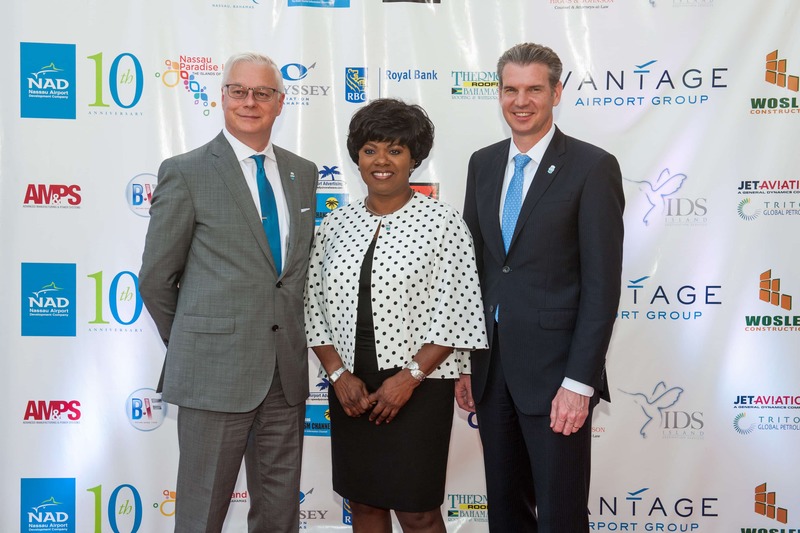 The current and former CEOS of NAD: Craig Richmond, Vernice Walkine and Stewart Steeves. More than 150 guests attended the special event.